This year, we’re looking to make an even bigger mark without compromising our founding principles. So, what can one expect at STS Hamburg? Connect with the bloggers who count. There are thousands of travel bloggers. Those who attend the Summit are there by invitation because they have real influence. With a delegate total of under 150, there’s plenty of time and space to network and get to know each other. Streamline the blogger selection process. Every single blogger at the Summit has a proven track record and is worth working with. No research on their stats and engagement is needed. It will just be a matter of matching the blogger’s audience to your target. Crack the budget/structure challenge. Some DMOs, brands and PRs have the budget issue figured out but many don’t. Furthermore, many organisations and companies have internal structures that are not conducive to effective collaborations with online media (think geographical divides). The Think Tank and Industry-to-Industry panel will each explore a variety of challenges faced by the industry including financial and structural issues with the goal of coming up with creative, functional solutions. Get new ideas for blogger partnerships. Our Industry-to-Industry panel will present all sorts of blogger collaborations. During the Think Tank new possibilities for partnerships will be explored. And more ideas will be developed during the many casual networking opportunities – coffee breaks, tours, events and at the bar are where some of the best ideas are born! Get a handle on social media, bloggers and where it’s all going. The programme includes expert keynotes and workshops and facilitated discussions on best practices and experiences in social media and its future. Check the STS Hamburg programme and read what participants thought of STS Leipzig 2014. 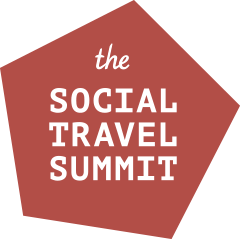 It’s this combination that makes the Social Travel Summit unique. The Summit provides the platform for bloggers and industry representatives to meet, exchange ideas, nurture mutually-beneficial relationships and shape the future of professional travel blogging.